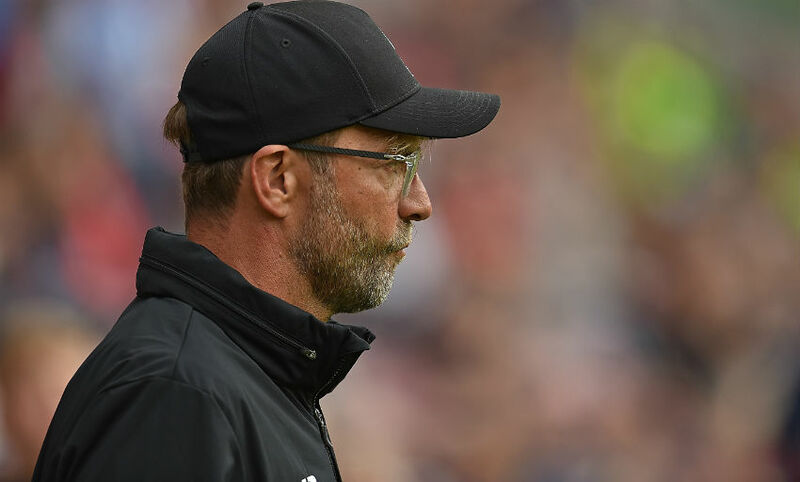 Liverpool drew 1-1 with Wigan Athletic in their second pre-season friendly on Friday evening. Mohamed Salah's first Reds goal ensured the visitors remain unbeaten in pre-season after the Latics had gone ahead midway through the first half. "Another game, no injuries, good," says the boss. On Mohamed Salah, he adds: "First situation, nice sprint! We played some wonderful pieces of football." Dejan Lovren hit the post in the second half, but it ends all square. Next up: Crystal Palace in Hong Kong on Wednesday. Now Milner goes close to a winner, but his effort is palmed away. A good chance for Liverpool, but Sturridge side-foots wide after being played in by Henderson. The centre-back gets on the end of Milner's cross and directs his header back across goal, only for the woodwork to deny him. Still 1-1, with just under 15 minutes left to play. 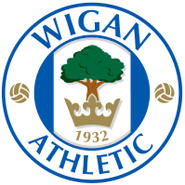 Daniel Sturridge curls a left-footed shot towards the far post, but it's palmed away by the Wigan 'keeper. Nothing to speak of in terms of goalmouth action at either end so far in this second half. 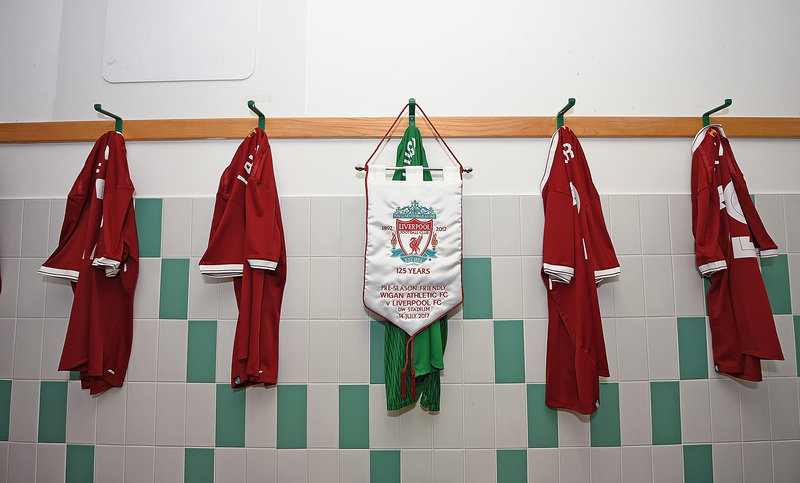 We're back under way, with Daniel Sturridge and Divock Origi kicking-off for Liverpool. Just a gentle reminder that you can watch the second half live and in full on LFCTV and LFCTV GO. Click here for more details on how to sign up, or click here to watch online now. And the half-time whistle blows immediately after Salah's leveller. The Reds' second-half team are out on the pitch warming up in the Wigan drizzle. We're off to get a cuppa, but will be back in situ for the second period! Liverpool have their equaliser just before half-time, and it's Mohamed Salah on his debut! 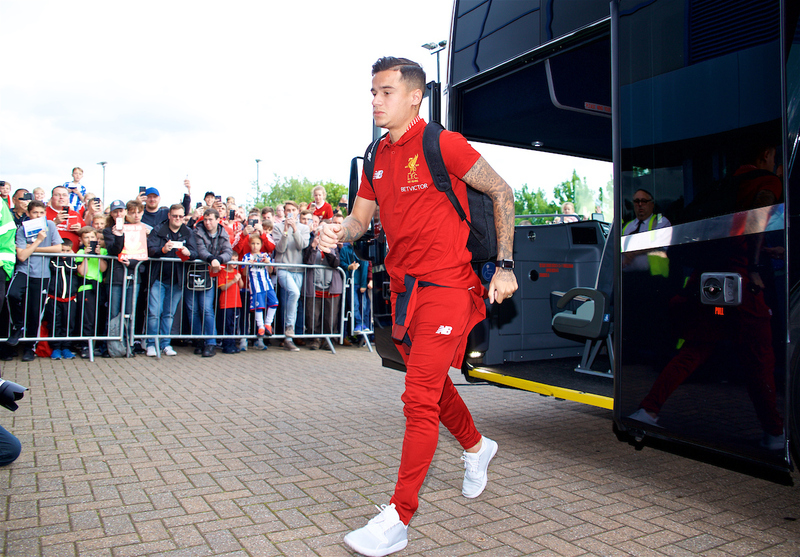 Coutinho plays in Firmino, who unselfishly lays it on to his new teammate, who slots in. Lallana goes close again, with the skipper's diving header being saved by Walton following some excellent link-up between Alexander-Arnold and Firmino down Liverpool's right. Firmino opts to square it to Lallana instead of shooting from close range, but the Brazilian's pass goes astray. Somehow, the Reds are still behind. It feels like a matter of time before Liverpool draw level, as Firmino forces a save from Christian Walton after good work from Salah, before Lallana shoots wide from the edge of the area. Coutinho sends a 25-yard drive over the crossbar. It's been a good response from the Reds since we fell behind. 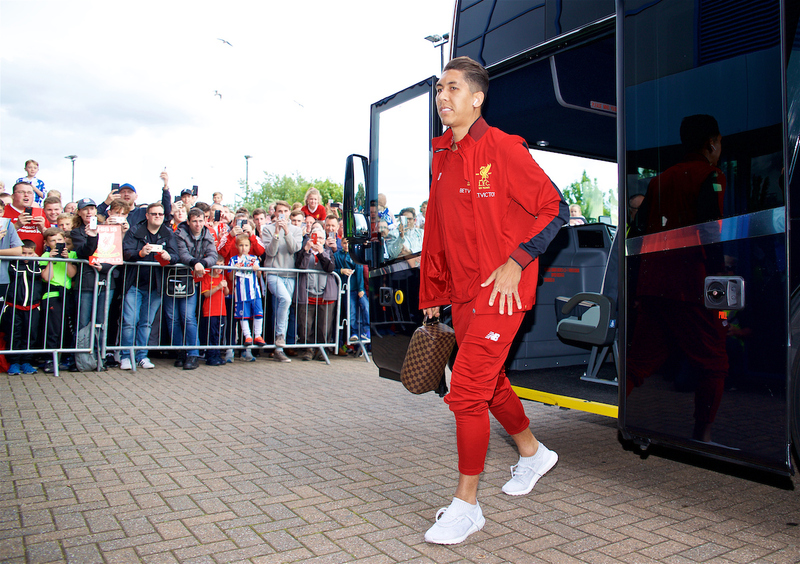 A good spell of pressure from the Reds ends with the Wigan 'keeper saving Firmino's low effort. Alex Gilbey's low shot finds the bottom corner after a Wigan free-kick. 1-0 to the Latics. A short break in play here as Gini Wijnaldum receives treatment after getting a knock to the head. Our No.5 is fine to continue, though. A first chance for the hosts, as Omar Bogle curls an effort wide from 20 yards. Liverpool enjoying the better of the opening exchanges, here. Alexander-Arnold's just had a low shot saved, before Lallana drags an effort wide. Wigan get us under way. Adam Lallana is Liverpool's captain in this first half, by the way, with Jordan Henderson set to come on at half-time. The Reds have just emerged from the tunnel and out onto the pitch to warm applause from all inside the DW Stadium. The Reds are out and warming up here at the DW Stadium, with just over 15 minutes to go until kick-off. 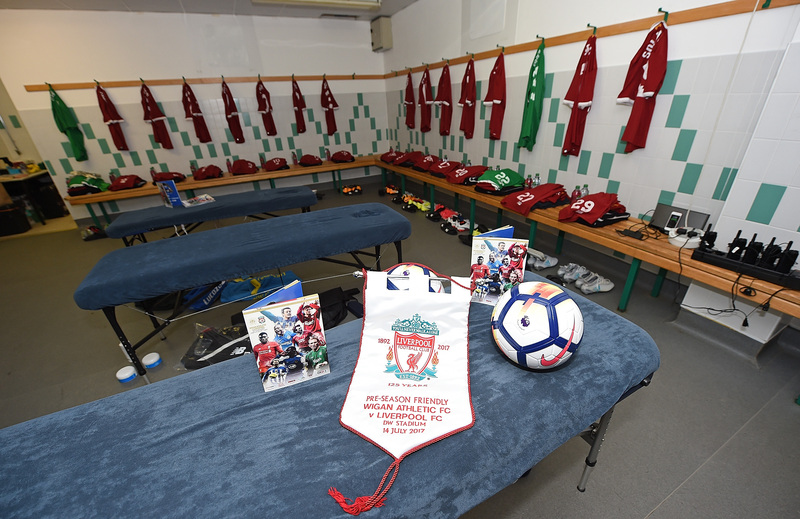 Remember, if you're not here, you can watch the game live and in full on LFCTV and LFCTV GO. 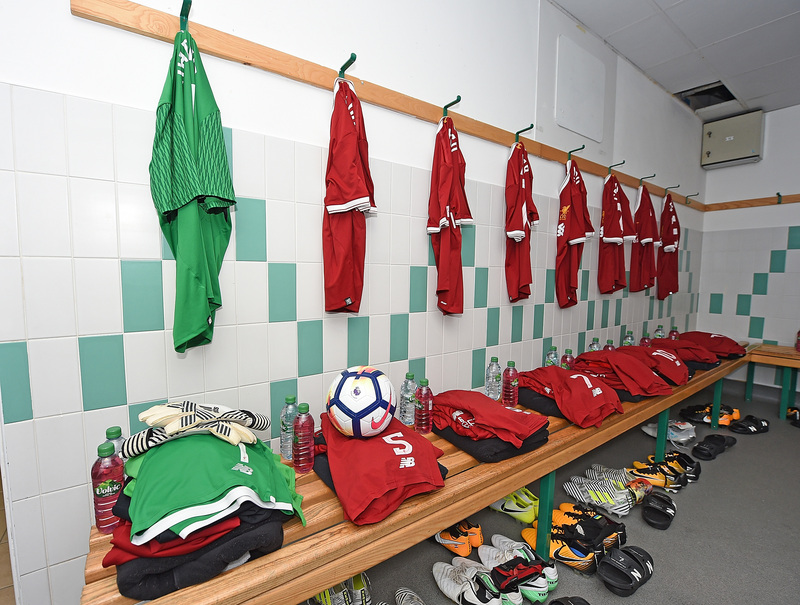 @LFC Latics subs v @LFC: Evans, Perkins, Massey, Woolery, Thomas, Burke, Barrigan, Gregory, Stubbs, Burgess, Merrie, Laurent, Lang. 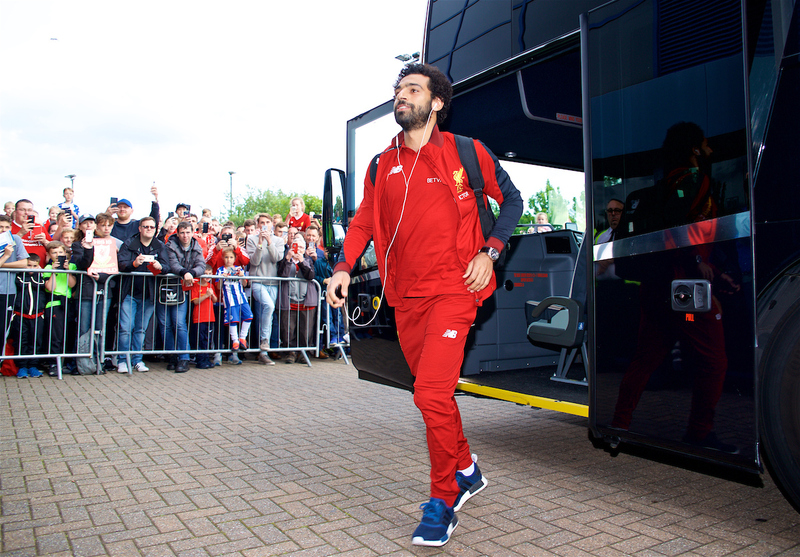 Mohamed Salah will make his Liverpool debut as part of Liverpool's first-half team here at the DW Stadium tonight. Philippe Coutinho, Simon Mignolet, Adam Lallana, Dejan Lovren and Divock Origi also come in for their first appearances of the summer. 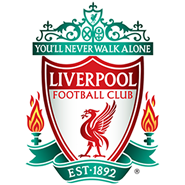 Second-half team: Karius, Gomez, Stewart, Lovren, Milner, Wijnaldum, Grujic, Chirivella, Solanke, Sturridge, Origi. 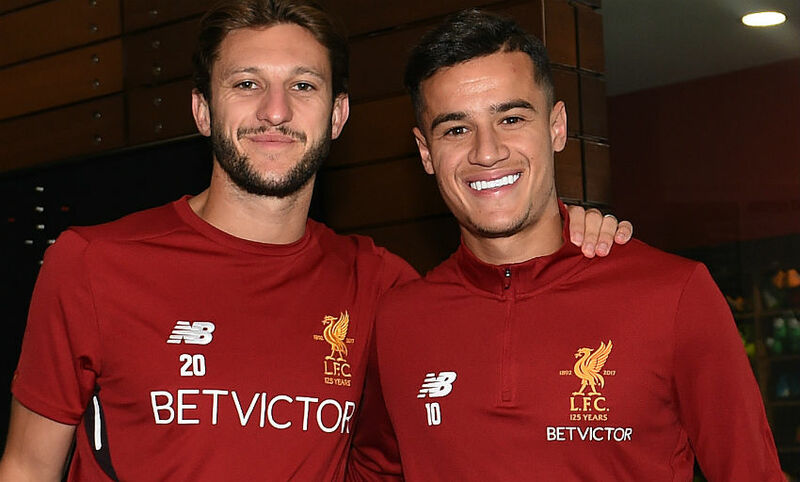 You'll get confirmed team news first right here at 6pm BST, but we already know that Phil Coutinho and Adam Lallana are in the Reds' squad. Meanwhile, Dejan Lovren and Divock Origi are also back in contention after they missed Wednesday's win over Tranmere. 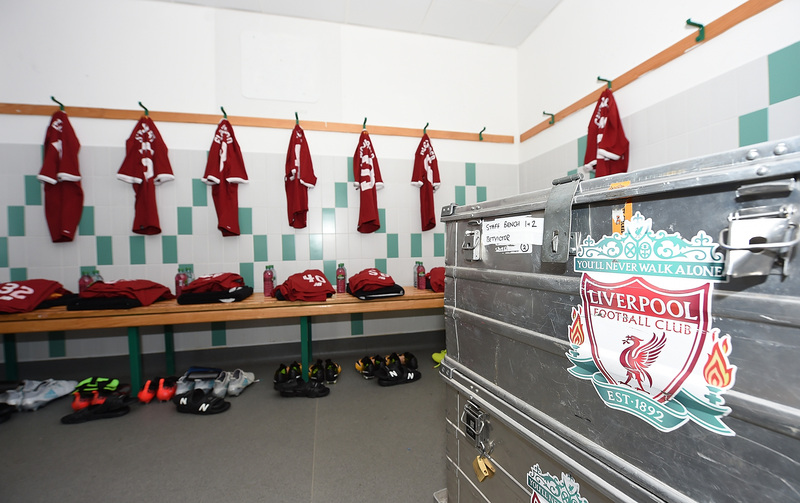 For more information on the Reds' squad tonight, click here. Good evening and welcome to the DW Stadium, where Liverpool will be taking on Wigan Athletic in their second pre-season friendly in just over two hours' time. It's a lovely summer's evening here in the north west, but if you're not coming to the game, remember you can watch it live and in full on LFCTV and LFCTV GO from 7pm BST. Click here for details on how to sign up for either service.